Do you think you have what it takes to be one of the best secret agents in the business? 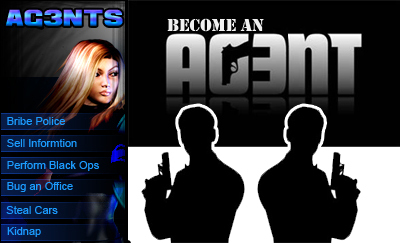 Ag3nts is a game based on the world of secret agents. You can join a company or simply create one of your own, and spy on your competition. Compete against other Ag3nts to show them that your skills are the best!